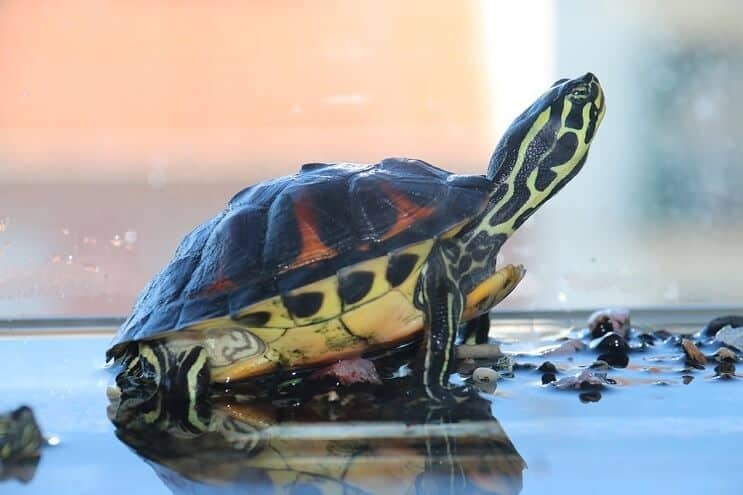 Pet turtles need both land and water to live. Some turtle species spend around 75% of their time in water, so they need plenty of swimming space to be able to move around comfortably. They also need a completely dry area, known as the basking area, to get out of the water and warm up. Most people don’t fully understand the needs of turtles, as a result many tank set-ups just aren’t suitable. The good news is you’re here, and you’re doing your research, so you’ll be providing your turtle with the best possible setup. The tank is usually the most expensive purchase you’ll make for your turtle. Turtles require space to swim and space to bask. If you’re wondering what size tank you’re going to need, the general rule is that turtles need 10 gallons of water per inch of their shell. So a fully grown eastern box turtle of around 6 inches would require a 60 gallon tank. Given that the FDA doesn’t allow the sale of turtles with shells of less than 4 inches (due to health implications associated with salmonella), this means your minimum tank size should be 40 gallons. Larger turtles can grow up to 14 inches long, so if you’re planning on buying a starter kit like the one we mention later in the article, be aware that you’ll need to upgrade this as the turtles grow. Turtles grow on average around 1 inch per year until they reach full size. You should also make sure that your tank is deep enough for the water depth to be between 2-2.5x the length of the turtle’s shell. So for the 6 inch eastern box turtle, you’ll need a water depth of 12-15 inches. Whether you want to choose an acrylic, or glass, tank is down to personal preference. Acrylic is lighter than glass, however it’s more expensive, and is easier to scratch (this is something to bear in mind with your turtle’s claws). Most people choose to buy a regular fish tank and then add in a basking dock and lights. Alternatively, if you’re running on a budget, you might want to consider buying a second hand tank from eBay/Craigslist. These are a lot cheaper and often in good condition. You’ll just need to check that the tank is watertight. 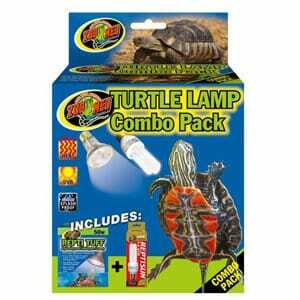 If you’re looking for a starter turtle kit with minimum hassle, then this kit is for you. You’ll just need to add gravel, water and a heater! If you want to make life easy, you can buy a complete kit. This is an ideal starter kit, but due to the size you will eventually need to upgrade it, as the turtle grows. 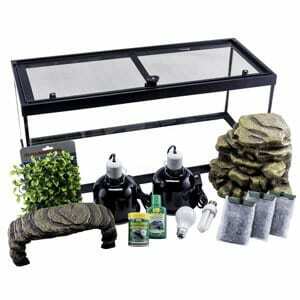 This kit comes complete with everything you need to set up their habitat up including the tank, a filter and filter media, a basking platform, two lamps, a 60W heating bulb and a UVB bulb. It also comes with food, an artificial plant and a screen top with clips to secure it on. 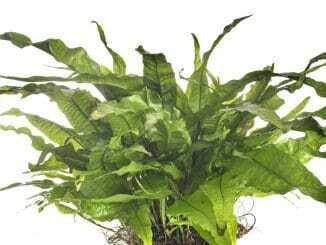 You could always replace the artificial plants with real plants such as hornwort or java moss. Turtles produce A LOT of waste, so you need to use a good quality filter. If you don’t invest in a decent filter, your water will become dirty and your turtles will get sick. There are specific turtle filters that are made to handle the amount of waste that turtles produce. 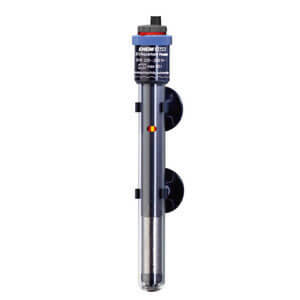 Also a lot of the larger aquarium filters are fine to use as long as they have mechanical, biological and chemical filtration. If you’re choosing an aquarium filter, choose one that is 2 or 3 times larger than the tank size. For example if you have a 50 gallon tank, get a filter which is suitable for a 100-150 gallon aquarium. You have a few different options when it comes to choosing a filter for your turtle tank. The first is to use a canister filter. Canister filters are external units and whilst they are usually the most expensive they are hidden away and kept out of sight. They do take longer to maintain than other filters, as the unit is bigger and has more types of media which need changing. Choose an external filter which can turn the water over at least five times an hour, ideally ten times per hour is better; it will also need space for between 3-5 forms of media. The second option is to use a hang on back filter, they are relatively inexpensive and don’t take up too much space. They’re efficient, but they need to be placed at the water level. This can be difficult in a turtle tank as the water level is often much lower than in an aquarium and most hang on back filters are designed to hang on the back of aquariums which are filled up to the fill line. The final option is an internal, or a submersible filter, although these tend to be designed for smaller tanks. They are attached to the inside of the tank using suction cups. These filters are only ideal for starter turtle tanks as they aren’t designed for use with tanks larger than 50 gallons. They also don’t allow for much space for media so you’ll find yourself replacing the media frequently. 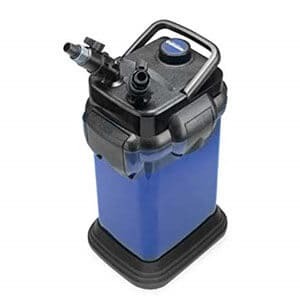 Overall, the best option for filtration is a canister filter. This filter is one of the most highly recommended ones for turtle tanks. It’s durable, has a strong plastic casing, comes with a self-priming feature, and has a multi-stage filtration system. In the wild, turtles will be exposed to around twelve hours of sunlight per day; they rely on ultraviolet rays to strengthen their shell and for heat. When in a tank, they will need twelve hours of light per day, but this should not be direct sunlight. You have a few options with lighting, you can choose an all in on bulb which combines UVB, UVA and heat. Or you can choose two separate lights; one for UVB and UVA light and another basking light to use for heating purposes. This basking and UVB combo pack includes a Turtle Tuff 50W Halogen Lamp and a ReptiSun 5.0 Mini Compact Florescent (13W) Bulb. When you choose a light, even if the box says the light emits a full spectrum of light, make sure that it emits enough UVB light. 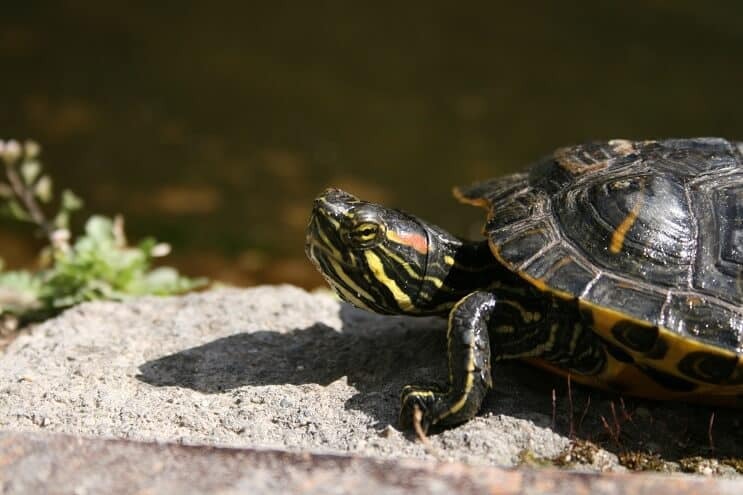 Your turtle will need between a 3 and 8% concentration of UVB light. Just because a package says it is full spectrum or sun spectrum, doesn’t necessarily mean they produce both UVA and UVB light. If you’re choosing between desert and tropical UVB lights, choose the tropical one. 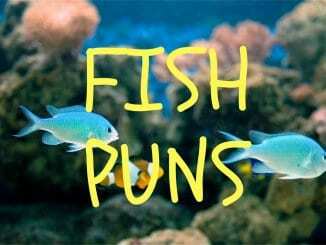 They aren’t as intense and are better suited for turtles. Florescent lights are best for providing UVB light. They should be placed at the correct distance from your basking area; this is dependent on the percentage of UVB the light emits. Place a UVB 2.5% lamp 12 inches from the dock, and a UVB 5% lamp 18 inches from the dock. A lack of UBV will cause a soft shell and metabolic bone disease which can kill your turtle. It’s also important to note here than UVB light won’t go through glass or plastic, so don’t use a glass cover. If you want to use a cover you can use mesh hardware cloth. UVB lights need to be replaced every six months, even if the light is still working. Turtles are coldblooded, which means they can’t produce heat for themselves, so they require a light source to heat them up. You’ll often see turtles basking directly under a light. The best type of basking light is as incandescent bulb. You’ll need to place the basking light around 12 inches above the basking area, which is usually a flat rock, stone or tile. Your tank needs to have one warm side and one cooler side. The warm side should be between 90 and 95°F, and the cooler side should be between 75 and 85°F. By creating a range of temperatures, you’re giving your turtle the option to move around and bask in different areas depending on how much they need to warm up. When the lights are switched off over night, the tank should be kept at around 70-75°F. The beauty of choosing a combined bulb is that it reduces the amount of lights you need to place over the tank (you only need one light, one wire, and one plug). However they do tend to be more expensive. Combined lights should only be used in larger setups, as they usually produce too much heat for small tanks. You might want to consider putting your lights on a timer so your turtles are given the same lighting as they would in the wild. Always secure the lights to prevent them falling into the tank and hurting your turtles. Any lamps that get hot, such as incandescent, halogen or mercury vapor lamps will need a screen underneath them as they are prone to exploding if they get splashed by water. Florescent and LED lamps very rarely explode. This fully submersible heater will keep your tank water at a consistent temperature for your turtles; it’s made of shock resistant glass and will automatically turn off when water levels dip too low. As well as the land area of the tank being kept warm, the water section will also need to be heated. 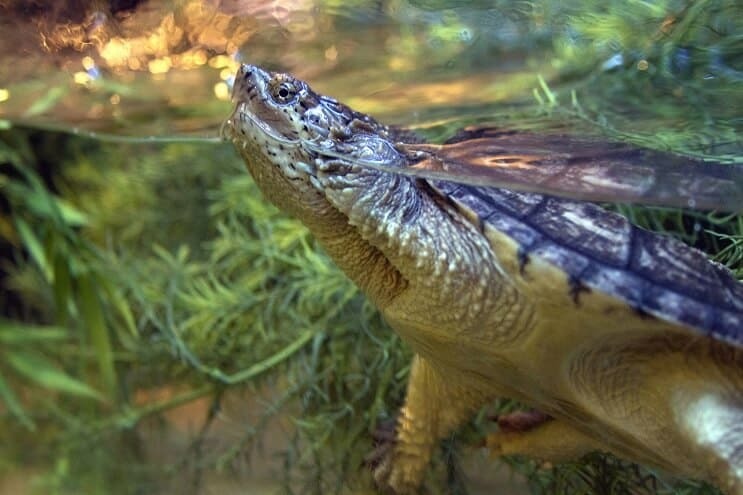 Some species of turtles spend up to 75% of their lives in water. If the water is too cold it will slow down their metabolism and they can quickly developed infections. If the water is too hot, it will discourage them from basking and cause them to develop fungi and bacteria. That’s why it is important to keep the tank water at the right temperature. The ideal water temperature for most species of turtles is between 72 and 80°F. 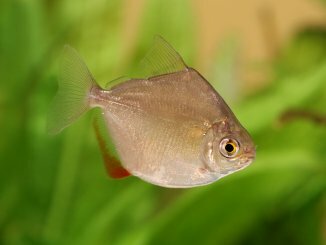 You can use a regular aquarium heater; either a fully submersible heater or an under tank heater. Submersible heaters are usually long in length and cylindrical; they are relatively cheap and very efficient. They don’t take up much space and are usually the most accurate type of heater. You can also get under gravel/substrate heaters, and whilst they don’t take up much space and stay out of sight, they are nowhere near as effective as submersible heaters. The wattage that you will need depends on the size of your tank, you can read more about determining the amount of wattage you need in our heater article. 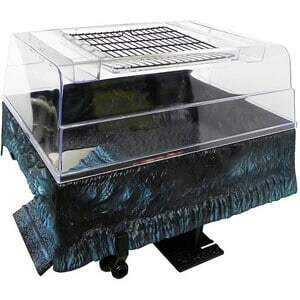 A durable plastic basking area which allows you to keep all of the tank space below. It has easy open grills which allow heat to pass through and gives you easy access to the turtle. A basking dock is the area the turtle will use to climb up onto and get out of the water to warm up under the basking dock light. If you want a simple and quick option, the easiest way is to buy a pre-built dock like the one below. Some people want to keep a very natural look, so opt for driftwood or half cut logs for the basking area. You can make your own DIY platform using stone, rocks, tiles or acrylic sheets. You’ll need to make sure you include a ramp to allow the turtle to climb up onto the platform, and it needs to be large enough for them to move around on. Now you’ve read through this article, you’ll start to understand just how important it is to have the right tank size, the appropriate equipment and enough time to dedicate. It’s not difficult to set the turtle tank up once you have all the right equipment, but it is important to ensure all the equipment you do have is suitable for turtles. Tank size should be a minimum of 40 gallons. Lights need to emit UVB. The filter should cycle the water at least 5 times an hour and have space for plenty of media. Finally, the basking dock should be large and sturdy enough for the turtle to get up onto and move around on. Are you thinking about setting your turtle tank up, or are you looking to make changes to your current tank? If you have any questions, make sure to leave them in the comments section below.